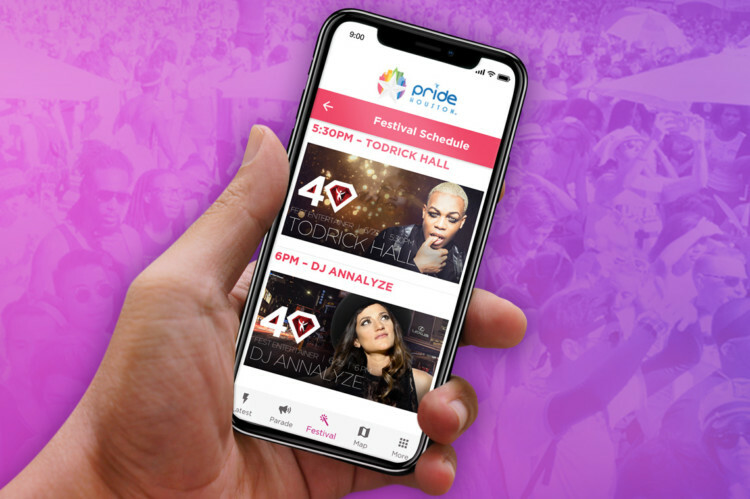 Standalone app developed to support promotion of a number of events, and to be used as day-of-event guide for Houston’s LGBT Pride Celebration. App is available on both the App Store and Google Play Store. Content and imagery are easily updated via the administrative backend of the Pride Houston Site.